In general terms the expression of being physically dependent on something is highly overused in everyday conversation; in professional circles however, the term is being used less frequently. This is because of the complexities and the difficulty in generalising addiction. It has always been thought that there are two contributing factors to addiction, these being psychological addiction and physical addiction and the two are extremely closely connected and differences are difficult to explain without the other encroaching in to the explanation. A loose explanation of a physical dependence can be when the body has become dependent on the substance and by continuing to take the substance, symptoms of withdrawal are kept at bay or minimised. The body is said to be in need of the substance to be able to function and withdrawal occurs as soon as the regular intake of the drug is stopped or withheld.The general symptoms of physical dependence caused by the usual substances associated with drug or substance addiction can be all, one or something different from the following: nausea, vomiting, shaking, chills and headaches. It should be noted however, that physical dependence can result from taking many legitimately prescribed medications; those given for heart or circulatory disorders are examples of this, when if discontinued, the body displays certain physical symptoms as a consequence. Consideration should also be given to the facts surrounding physical tolerance. Slightly different from dependence, tolerance occurs due to the body becoming ‘used’ to a substance whereby the body requires higher doses or more frequent usage to achieve the desired effect, or the same effect that a lower dose once achieved. The body and its biological processes, structures and cells adapt to the presence of the substance and become tolerant of it, so using the same amount all of the time produces less and less affect. Some substances cause a low mood or lack of energy when being used, (downer) so a substance is sometimes used to lift these effects (uppers). If a greater amount of a downer is used, a greater amount of an upper will be needed to rebalance the body, resulting in a duel dependency. Excessive alcohol consumption is known for its ability to develop a physical dependence in the user. Many alcoholics need to ingest greater and more frequent amounts of alcohol to keep withdrawal symptoms to a minimum, if they don’t they will experience the effects very quickly and some can be very unpleasant. This contributes to how early drinking develops. Nicotine is also known for being a cause of physical dependence, though many people admit to smoking cigarettes in a social environment only. 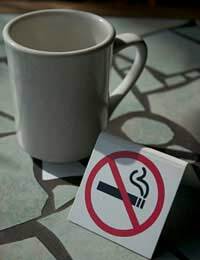 Others need to keep smoking very regularly to achieve a balance, and to suppress withdrawal. Physical dependence is a consequence of addiction, though it is very closely linked to psychological dependence and therapists and rehabilitation units will treat both problems simultaneously. Once the initial period of withdrawal is being managed, assessments will take place to discover the level of addiction and treatment plans will be decided using the results.